2.2.5 Low scope of S.AspP particles? 2.3.3 Low scope of OnlyP particles? Victor Junnan Pan is a professor of theoretical linguistics in the Department of Linguistics and Modern Languages in The Chinese University of Hong Kong. He worked previously as an associate professor with Habilitation in the University Paris Diderot-Paris 7. He has also been a junior member of the Institut Universitaire de France since 2017. He has published five research monographs in both English and French. 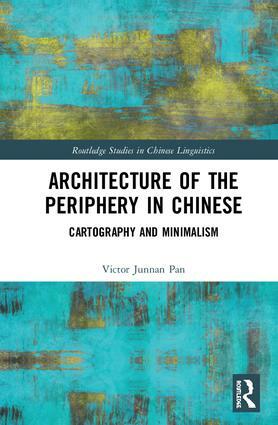 Specializing in generative syntax, his research covers Chinese syntax, French syntax, syntax-semantics-discourse interface and others, and the topics he has investigated include interrogatives, quantification in formal linguistics, information structure, left-periphery, cartography, resumptivity, A'-dependency, locality and the Minimalist Program.